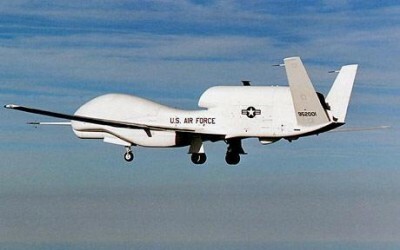 Missiles from US Predator drones struck a village in Pakistan over the weekend, killing at least 13 people. The attack coincided with reports of intensified operations by US Special Forces killing squads on the Afghanistan side of the border. Amounting to targeted assassinations, these forms of warfare are the most evident feature in the first stages of the “surge” ordered earlier this month by President Barack Obama, who is sending at least 30,000 more US troops into Afghanistan. The methods are indicative of a dirty colonial-style war to suppress resistance to an occupation that is aimed at establishing Washington’s dominance in the energy-rich and strategically vital region of Central Asia. Citing Pakistani officials, the Lahore-based daily The Nation reported Sunday that the death toll in a drone attack on a village in North Waziristan had risen to 13. Two missiles reportedly struck a compound in Saidgi village, about four miles from North Waziristan’s principal town, Miranshah. The drones continued hovering over the area, while a US B-52 bomber also conducted over-flights, terrorizing the local population, according to Pakistani media reports. The missile strike marked the third such attack on North Waziristan since December 17. The area is part of Pakistan’s northwest tribal region, which has been used by elements of the Afghan resistance, backed by fellow Pashtun tribesmen in Pakistan, to launch attacks on the US-led occupation forces in Afghanistan. The deadly drone campaign has been directed by the US Central Intelligence Agency, using a clandestine airfield in the Pakistani province of Baluchistan and with CIA operatives sitting in front of video screens in Langley, Virginia, directing the missiles to their targets. The Pentagon is reportedly conducting its own drone attacks. The Obama administration has sharply escalated the drone attacks, launching more than twice as many over the past year as the Bush administration carried out in its last year in office. The secretive nature of the CIA program is designed in large part to obscure the horrific toll in civilian lives inflicted through the firing of Hellfire missiles into Pakistani villages. As with virtually all of these attacks, the US media parroted unnamed intelligence officials in claiming that the victims of the latest missile strike were all “militants,” without any corroboration of who had been killed. The Lahore newspaper The News, citing figures supplied by Pakistani officials, reported in April that 687 civilians had been killed in approximately 60 drone strikes that had been carried out since January 2008. Given that fatality rate, with nearly 30 drone attacks having been launched since, the number of Pakistani civilians slaughtered in this fashion could easily have topped 1,000. Over the last two years, the Pakistani government—both that of military dictator Pervez Musharraf and that of his successor, Pakistan People’s Party President Asif Ali Zardari—had worked out a modus operandi with Washington whereby Pakistan publicly protested the drone attacks and demanded that they cease, while behind the scenes giving them a green light. US officials had portrayed the missile strikes as an attempt to kill leaders of al Qaeda. The latest series of attacks, however, has been launched specifically against Afghanistan resistance elements that US military and intelligence agencies refer to as the Haqqani network, named for its leader Jalaluddin Haqqani, who operated out of the same North Waziristan sanctuary in the 1980s. Then he was one of the principal recipients of US arms and aid in the CIA-backed war against the Soviet-aligned regime in Kabul. Since the announcement of the Afghanistan surge, Washington has been pressing the Pakistani government to send its troops against the Haqqani group and other forces aligned with the Afghan Taliban operating out of North Waziristan, just across border from Afghanistan. Islamabad has refused, however, citing its ongoing military campaign in South Waziristan, which is part of the Federally Administered Tribal Areas (Fata). The campaign in South Waziristan is directed against Pakistani Islamist insurgents blamed for a series of attacks across the northwest of the country. As the Washington Post pointed out, the Pakistani government concluded a truce with the local warlord in North Waziristan, Hafiz Gul Bahadur, in return for his forces keeping out of the fighting in the south. In recent weeks, US officials and military commanders have ratcheted up the pressure on the Pakistani government, warning that if it did not act in North Waziristan, the US military and CIA would intervene unilaterally. The New York Times reported Monday that the US military is making increasing use of its secretive Special Operations units as a key component of Obama’s Afghanistan “surge.” These forces—including the Army Delta Force and Navy Seals—are employed in finding and killing Afghans who are identified as leaders or supporters of the fight against the US-led occupation of their country. Raids by Special Operations forces had been halted last February on the orders of the head of the Joint Special Operations Command (JSOC), Vice Admiral William McRaven. The raids were inflicting so many civilian casualties that they were generating popular support for the insurgents that outweighed the military importance of killing supposed leaders of the resistance. The suspension of these operations lasted only two weeks. Now, General Stanley McChrystal, the top US commander in Afghanistan, has ordered that these attacks by Special Operations troops be greatly expanded. Before assuming command in Afghanistan, McChrystal had been McRaven’s predecessor as head of JSOC, where units under his command were implicated in the torture of detained civilians in Iraq. The unleashing of these clandestine units against suspected leaders of the Afghanistan resistance will undoubtedly mean another sharp increase in the killing of civilian men, women and children. The Times also reported that similar death squad operations are being mounted across the border in Pakistan, under the direction of the CIA. The surge ordered by Obama will mean a sharp escalation of the violence on both sides of the Pakistan-Afghanistan border, as well as an intensification of the social and political crisis gripping the entire region as a result of the US war. Both Afghanistan and Pakistan were included among the countries confronting the 10 worst humanitarian crises in an annual listing released by the French-based medical aid group, Doctors without Borders. The campaigns by the Pakistani military, egged on by Washington, created more than 2 million refugees from the Swat Valley and another 300,000 from North Waziristan, according to Doctors Without Borders. The military offensive forced the group to halt its medical assistance in Swat Valley, where it had supported the local hospital and provided ambulance services. The past year has also seen a precipitous rise in the number of US troops killed and wounded. Fatalities in Afghanistan for US occupation forces have reached 310 since the beginning of 2009, double the number killed last year. Roughly 2,500 American troops have been wounded during the same period, many of them suffering amputations and severe burns and head injuries resulting from roadside bomb attacks. As US military commanders readily acknowledge, the pouring of 30,000 more American troops and tens of thousands more private military contractors into Afghanistan will mean a dramatic increase in the killing and dying produced by the eight-year-old US war.